URGENT TAKE ACTION ALERT! YELLOWSTONE NATIONAL PARK HAS INITIATED BISON CAPTURE OPERATIONS! YELLOWSTONE NATIONAL PARK HAS INITIATED BISON CAPTURE OPERATIONS! Please contact Yellowstone Superintendent Dan Wenk and tell him to release the buffalo and to cease further capture operations. 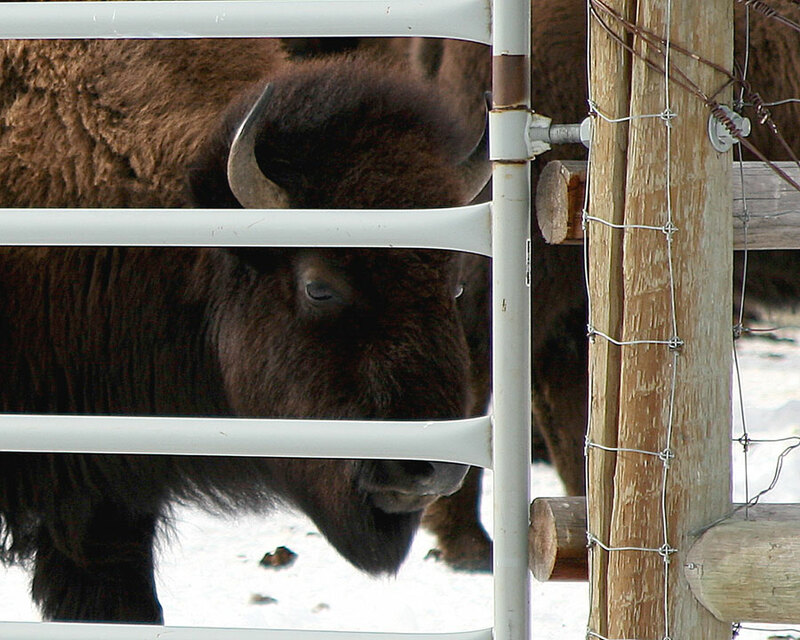 America’s last wild buffalo are right now being trapped for slaughter along Yellowstone’s northern boundary. These capture for slaughter operations are happening even as state and treaty hunters are shooting buffalo that migrate into Montana. Such management actions are driven by Montana’s bison-intolerant livestock industry, intolerance that is codified in the statute: MCA 81-2-120, a law crafted by the livestock industry that needs to be repealed. This is what takes place in Yellowstone’s Stephens Creek bison trap, whereever members of America’s last wild buffalo population are being held torture in the squeeze chute of the trap. Injuries are caused, families torn apart, as buffalo are run through the gauntlet then shipped to slaughter simply because cattle interests refuse to share the land. Yellowstone is again being very secretive and refuse to disclose how many buffalo have so far been captured. Buffalo Field Campaign patrols in Gardiner were able to get a count of approximately 145 buffalo in an outer holding pen. With all of the holes in their brucellosis argument, they are now killing ecologically extinct wild buffalo in the name of population control. Buffalo Field Campaign and Friends of Animals Wildlife Law Program filed an emergency rule-making petition (LINK) with the National Park Service and U.S. Forest Service to stop Yellowstone’s planned slaughter before it had a chance to begin. This petition was filed in September, and, to date, has been completely ignored by the government. TAKE ACTION TODAY and please urge your friends, family and colleagues to do so as well. Thank you! This entry was posted in Raven views and tagged Buffalo Field Campaign (BFC), YELLOWSTONE NATIONAL PARK HAS INITIATED BISON CAPTURE OPERATIONS!. Bookmark the permalink.